Pets love to eat. They will eat almost anything you put in front of them, no matter how gross, old, or inedible it may be. But pets don’t often enjoy eating their medication. 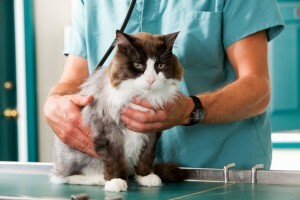 Medication tends to be bitter or have no flavor at all, and so giving your pets their medicine can be difficult. Luckily, there are cheats that you can use to make sure that your pets take their medicine – and in some cases, they will even look forward to it. 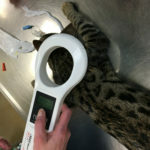 Your vet will always have ideas to help you give your pets their medicine, and in some cases you may need different strategies depending on the type and size of the medicine. But for those that need help now, the following are several different ways to make sure you are able to give your pet the medications it needs. One of the simplest ways is to purchase “Pill Pockets.” These are dog treats from the Greenies brand that are made for pills. Stick the pill inside of the treat, squeeze it closed, and give it to your pet. Your pet will eat it quickly and swallow their pill immediately. Any pet that loves treats will enjoy these pill pockets. If you do not have any “Pill Pockets” on hand, you can create your own using pet-safe foods. For example, dogs tend to love peanut butter, so covering a pill in peanut butter before giving it to your dog will almost always ensure that it is eaten quickly. Grated cheddar cheese also squeezes together well to cover the pill completely. Just make sure that you monitor your pet, because the pills aren’t secure and can fall out while your pet is eating them. If your pet has learned to eat the food off of the pill, we recommend holding two of these treats, one with the pill and one without. Hand your pet the first one with the pill inside, showing them the second one without the pill, and often in their excitement they will eat the first pill quickly so they can move on to the next. 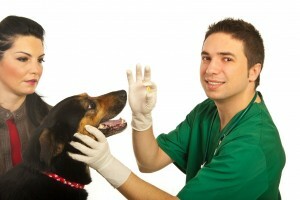 Dogs – Put the pill between your forefinger and your middle finger. 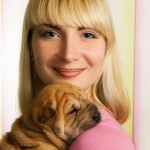 Place your hands in the back of your dog’s mouth and firmly but safely pull the mouth open.. Stick the pill on the back of their tongue and hold their mouth closed until the pill has been swallowed. 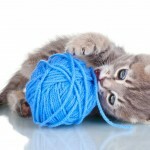 Cats – Cats tend to put up a bit more of a fight, but a similar method can be used to put pills in their mouth as well. Pull their head back to vertical and put your fingers at the back corner of your cat’s mouth. Drop the pill into the back of their mouth right where the back of the tongue meets the palate. 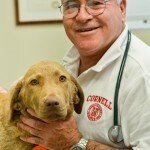 For dogs, you may also want to reward your dog with a treat or a lot of love after you give them the pill. That will help reward them for taking the pill successfully and make them more likely to enjoy the process in the future. Cats are a bit harder to food motivate, but some love and affection are still a good idea. There are other innovate ways to deliver pet medications. Compounding pharmacies allow you to give your pets the medication that they need, and they love it flavored to their taste (chicken, liver, peanut butter etc.). Some of these medications can also be made into a transdermal application. The above list are only a few of the ways to make sure your pet takes their medicine. Pet medication is not something that should be skipped, and the easier it is for you to give your pet their pill, the more you’ll be able to continue to give it to them daily. Always talk to your veterinarian about their tips and strategies, and to make sure there are no interactions with foods that may otherwise be used as treats for your pet.